So after 3 years of VX ownership and 13 track days, I've decided that rather than keep spending money trying to turn the VX into a race car I should just buy a race car. 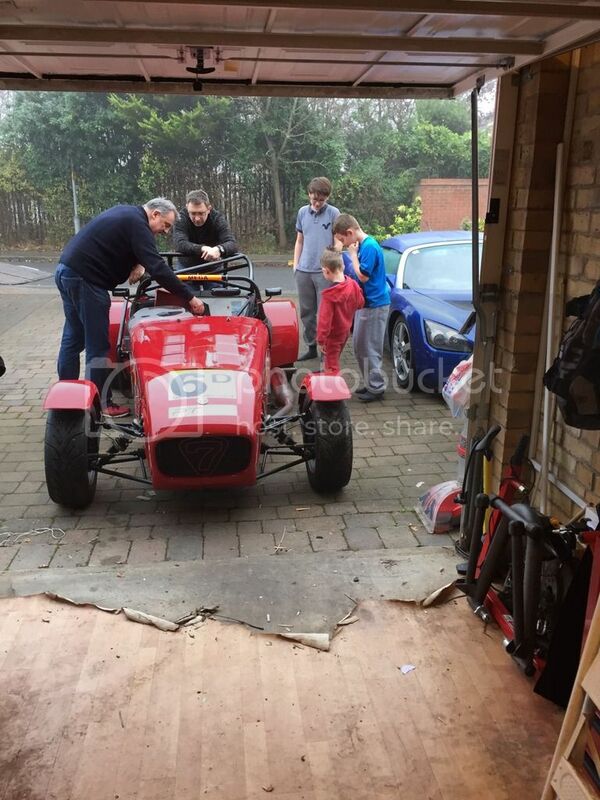 The original plan was to get a cheap ex race Caterham and use it for track days for a year or two but a few events recently have made me realise that life is short and there's no time for procrastination. As I've always wanted to race then I should just get on and do it rather than keep putting it off. So if I'm getting a race car then it needs to be eligible for a championship I want to race in. My initial preference was to go for the official series and enter the Caterham academy. With this route you buy a 125bhp 1.6 car from Caterham directly and build it yourself (something I’ve always wanted to do). The price includes entry to the races in year 1 and includes trackside support. A really nice element is that everyone in the championship is a novice and completely new to racing so you start on a relatively even level and get to learn together (and have agood chance of doing well). Downsides are that it's booked up a year in advance, actual costs are a lot higher than the initial cost of buying the car/package from Caterham and you only actually get 5 20 min races. Also the follow on championships require further car mods and allow track support. There's money in the paddock and it looks like it might turn into chequebook racing. I ruled out the CSCC Mag sevens as it was an 'open' championship which has very few restrictions on modifications except to group by bhp. 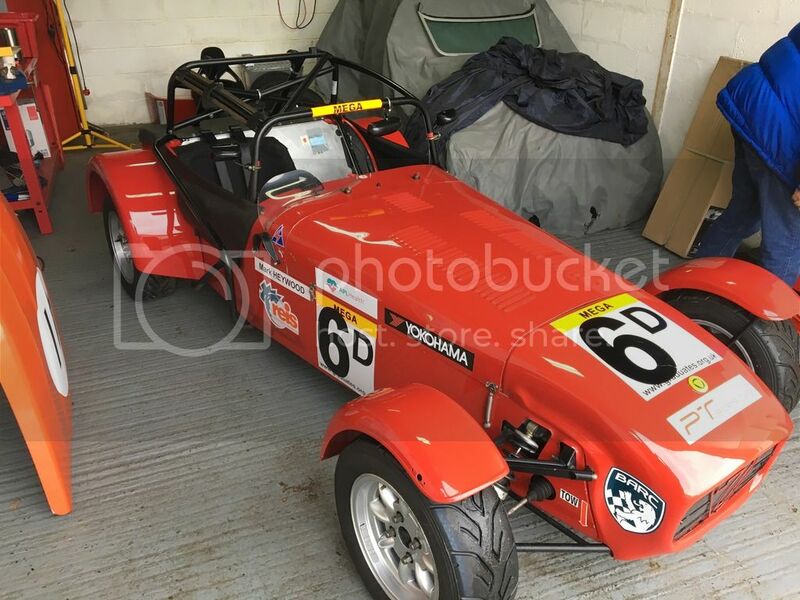 I was worried this would turn into chequebook racing as well although it would be a great championship for anyone with a modified or non-Caterham kit car. So I've chose to go into the graduates racing. I posted a request for advice on their forum and was snowed under with people trying to help out. It seems like a very friendly club that is a true 'Grass Roots' motorsport club with respect for each other in the paddock and on track. Costs are also tightly controlled with very specific regulations ensuring close racing and that no-one has any great advantage including specifics like only allowing 3 sets of tyres for the whole season. 1- I ruled out the classics as they are just too slow.. Quite a lot slower than my VX and likely to be a pain on a regular track day and I didn’t fancy a carb fed race car. Too old and too fussy. 2- I liked the idea of the supers but the grid sizes are dwindling and may get swallowed into one of the other classes in the near future. 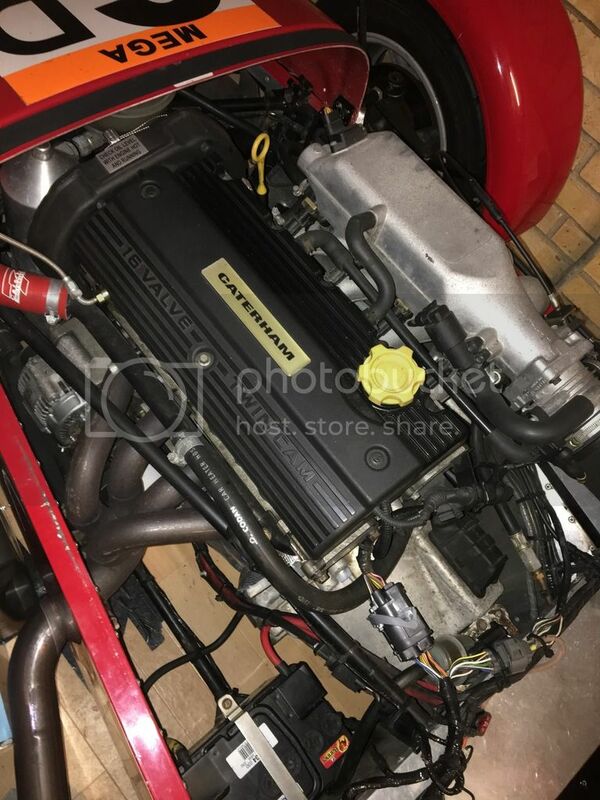 3- Mega’s are just about as quick as the Sigmax (slightly lighter engine but no LSD) but cheaper to buy and older. 4- Sigmas are are younger cars but more expensive than the mega for a slower car. 5- Sigmax are the youngest, most expensive and the fastest but as the ‘top rung’ in the series it’s the one that all the top racers move towards so being competitive is a big ask for a novice. In the end I was leaning towards the Mega class and there were two cars available. One was the car that won the championship in 2015 and 2016 but had had a hard life getting there and came with no spares (as the owner was moving to SigMax) while the other (the one I bought) has very little racing success but has been owned by the same owner from 2002, used very little and came with lots of spares (wheels/tyres, all parts to go back to road use, spare seat, harnesses, brake pads, wet weather gear etc.) Plus I spoke to the owner of McMillan Motorsport who runs many of the cars on the grid and he confirmed that it was probably one of the cleanest and least used Mega grad anywhere (and he'd built it himself when working at Caterham many years ago). So decision made… The previous owner was an absolute gentlemen who offered to deliver from Oxford to me in his covered trailer for free as well. Deal done.. Finally some damn pictures after all that text!!! Edited by Captain Vimes, 28 January 2017 - 12:36 AM. There's so much other stuff that goes with racing it's crazy. That's it for now.. I'll add some more tomorrow but try and avoid writing war and peace. I think I'm a wee smidge jealous..
Edited by The Batman, 28 January 2017 - 12:41 AM. Yep, it'll be at Brands on the 13th. At this point I haven't even driven it into the garage. Brands will be the first time I've driven it anywhere. Hopefully it'll work! It hasn't got a passenger seat unless I can adapt the drivers bag seat to work. I'll have a play and see if I can sort it out. Cool, hopefully it will be dry!! p.s. did the car come with a matching dyson? Good for you. Exciting times! Keep us updated. Interests:Cars, Boats, F1, Cycling, Home Cinema, Music. Something I'd love to do some day, interesting to read the differences in each category. Sounds like you've picked the best one for close competitive racing. Car looks fantastic too, I must get my Caterham on track this year! I'll follow your progress with interest! assume from lack of lights that these are not allowed to be made road legal? All the cars in the Graduate series started life as caterham academy cars which start off road registered and legal with v5 etc. So they should all be able to go back on the road. Mine came with b5, all the lights, windscreen, indicators, doors, roof etc so could be put back on the road easily. James, I fully expect to be at the back of the grid in terms of pace. Everyone else in my class has been racing Caterhams for at least a season and many of them for much longer whereas I haven't even driven a caterham at this point... The bit I really need to learn is race craft. With car specs so tightly controlled and aerodynamics of a barn door the winner often goes into the last lap in 2nd/3rd place and passes with the slipstream. To say it's close racing is an understatement with wings/panels being regularly 'rubbed'. It's going to be interesting.. Steve, I stand corrected. I also made an error above saying the mega's are upgraded sigmas. They're not, they're an upgraded super grad. Ps how much does your sigma race car weigh? I think mine is about 530kg wet (no driver). It was 515kg wet before I put a passenger intrusion bar on but obviously this would be removed for competition. I think the minimum weight with driver is something like 625kg so I think we both would need some lead adding before flat flooring. I'm looking to sit my ARDS test in the next few months and get the car setup ready. Does it have a blade front ARB? Edited by SteveA, 30 January 2017 - 03:16 PM. Flat flooring is the Caterham equivalent of corner weighting, as you know the field is so tight that the perfect setup can be the difference between winning and losing. I have lowered floors and my extinguisher is in the boot, it all helps when you need to get your driving position right. You really need to make yourself a bag seat, its a bit of a chew on but relatively cheap and will get you in the perfect position. I'm going to try and use the Tillet. One of the guys that's been racing for years has reverted to the Tillet after using a bag seat. It feels comfortable so I'm not sure why I'd want to use the bag seat? The only issue I can see is the position of the belts and HANS device? EDIT TO ADD:- corner weighting seems to be the norm for Caterham racing. I'm hoping to get trackside support for the racing so will get the same company to sort mine out when I've got the seat sorted. Edited by Captain Vimes, 30 January 2017 - 09:19 PM. Not sure about Grads but in the official championship you need to sign a disclaimer to say you know the tillett is not particularly safe and you accept the risk of using one. Bag seats are significantly safer and you will do much better in the event of a shunt.